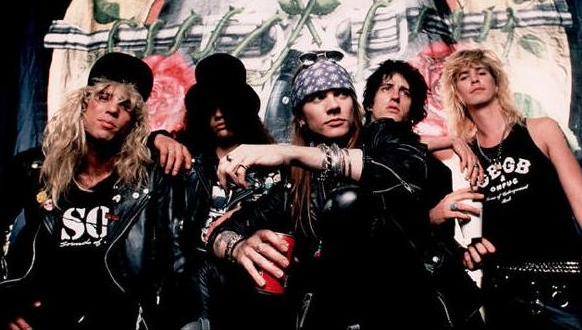 According to multiple sources including, Billboard.com and CoS, Guns N’ Roses will reunite to headline the Coachella Festival in Indio, California in 2016. With more details still to be finalised, an at least 25 date, US tour is also being reported to be in the works for next summer, with ticket prices expected to reach the $250-$275 range, at the top end. The bands classic lineup last performed together in July 1993, with multiple opportunities to reunite since then. However, this time it seems the offer was too big pass up. According to Alex Martel, founder of Canada’s Rock Fest, GN’R are asking for offers of at least eight million per show for the upcoming run of shows. Although a more detailed lineup announcement is expected in early January, for now, along with Guns N’ Roses, LCD Soundsystem will also be reuniting to headline the 2016 Coachella event. To get you into the “classic era” GN’R vibe, let’s look back at the founding members rocking The Ritz in 1988, in the video below.